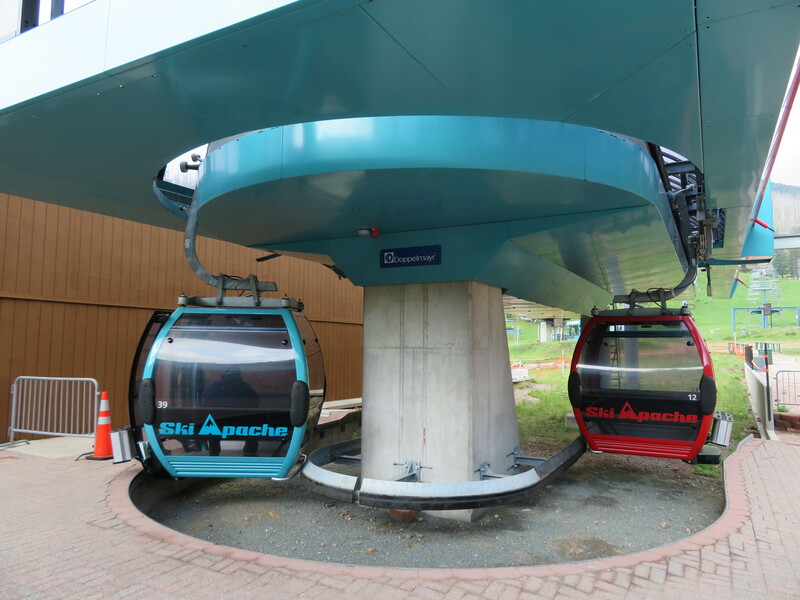 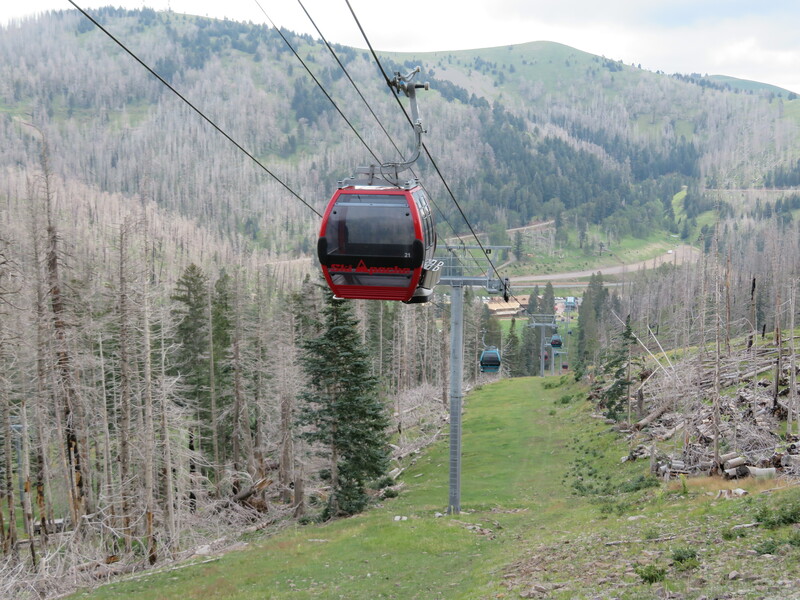 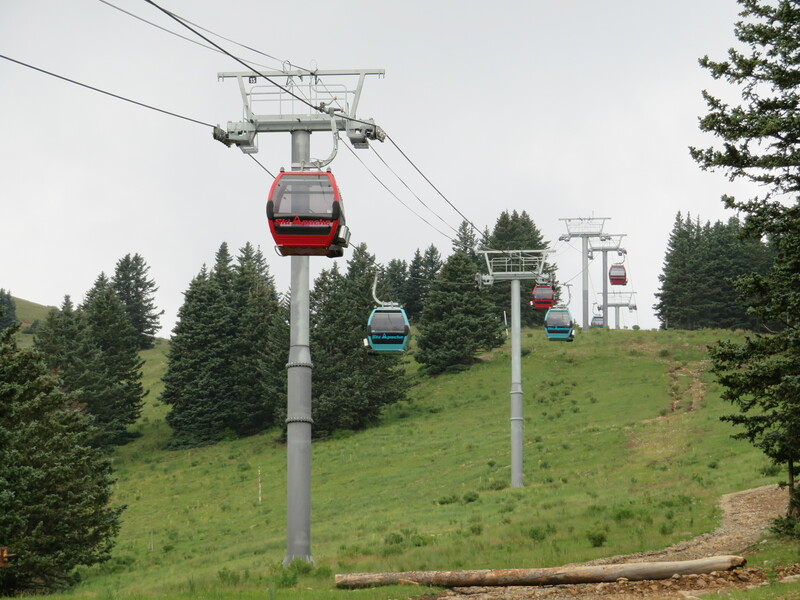 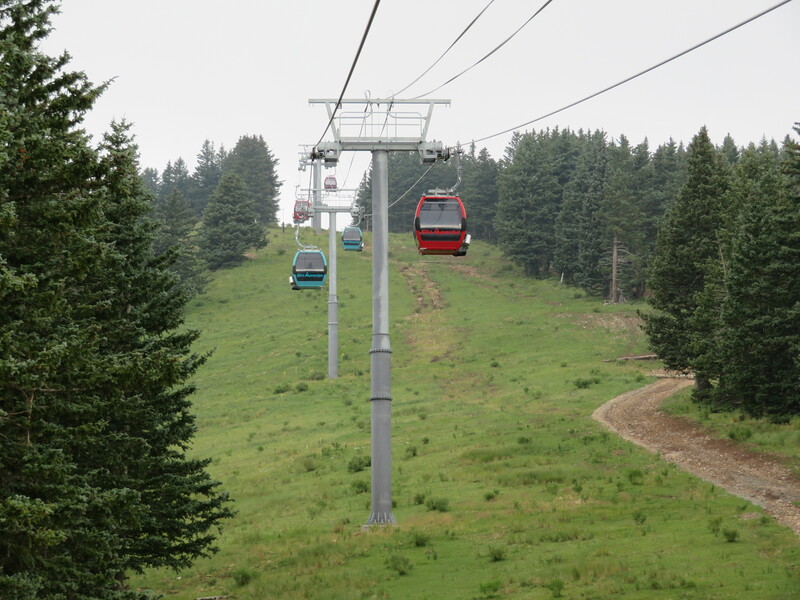 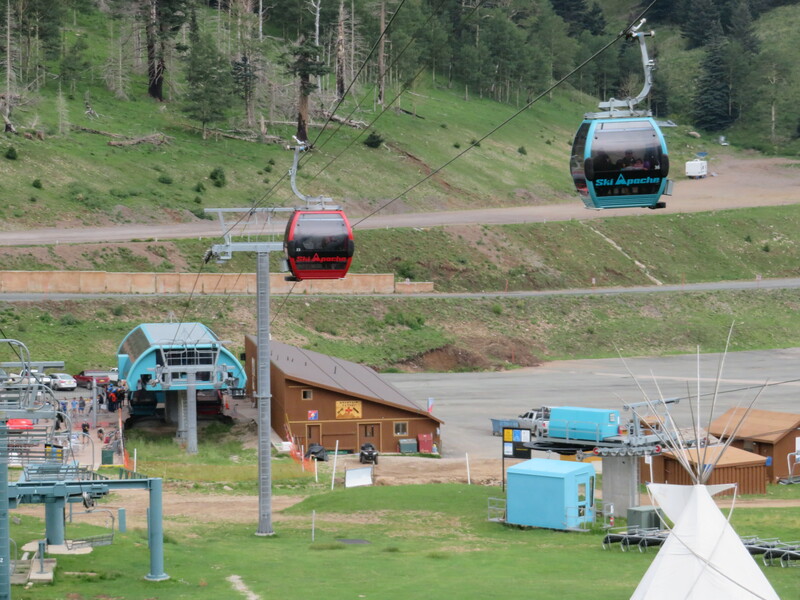 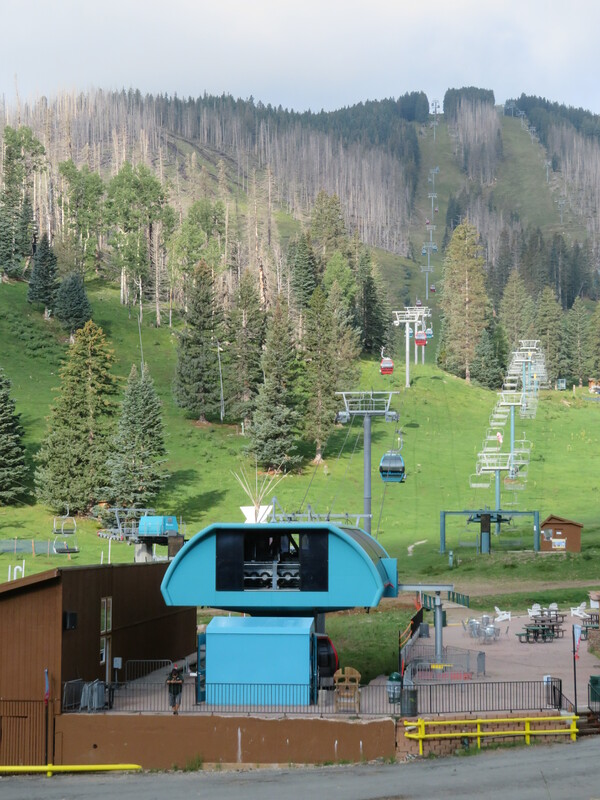 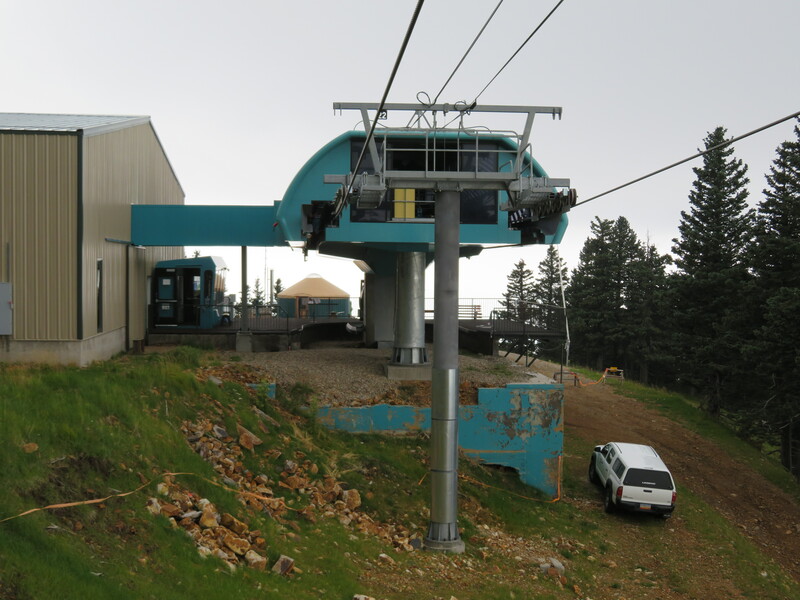 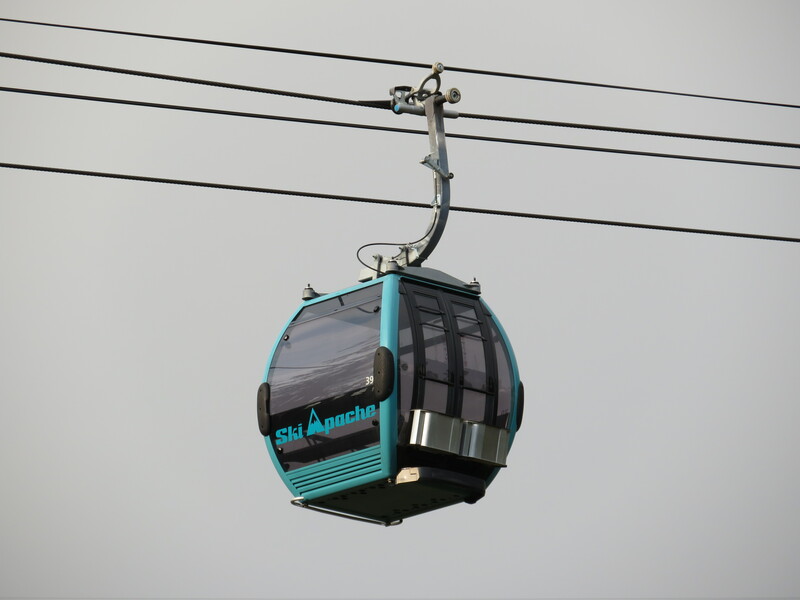 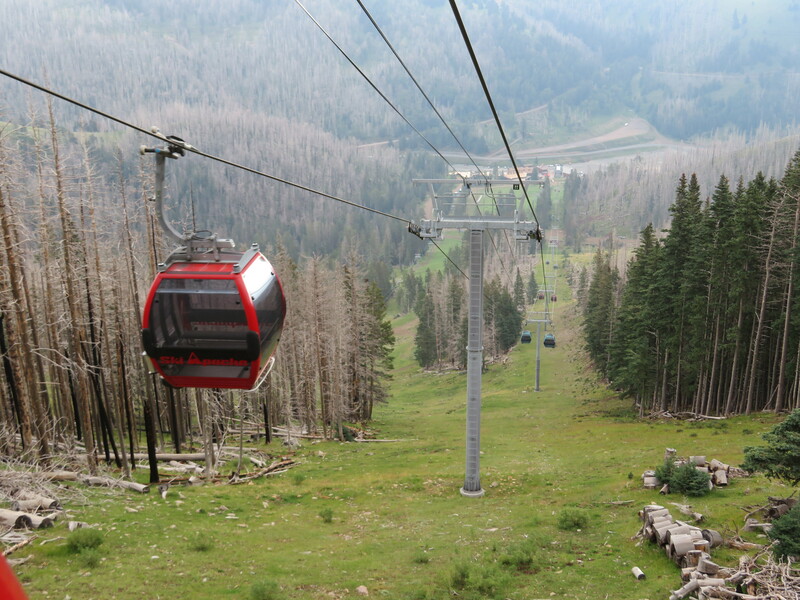 This gondola is one of three lifts built in the fall of 2012 after a fire ripped through Ski Apache earlier that year. 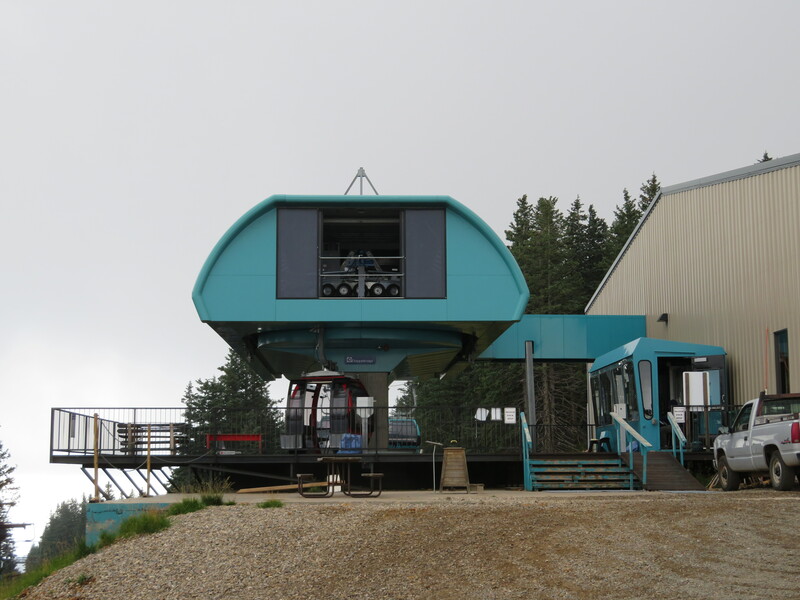 CWA Omega IV cabin with DT-108 grip. 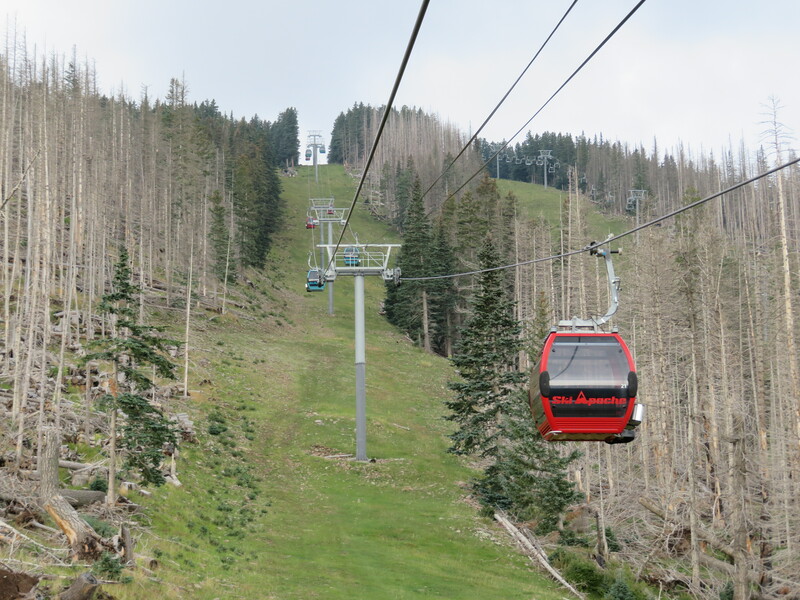 The steep middle part of the lift line. 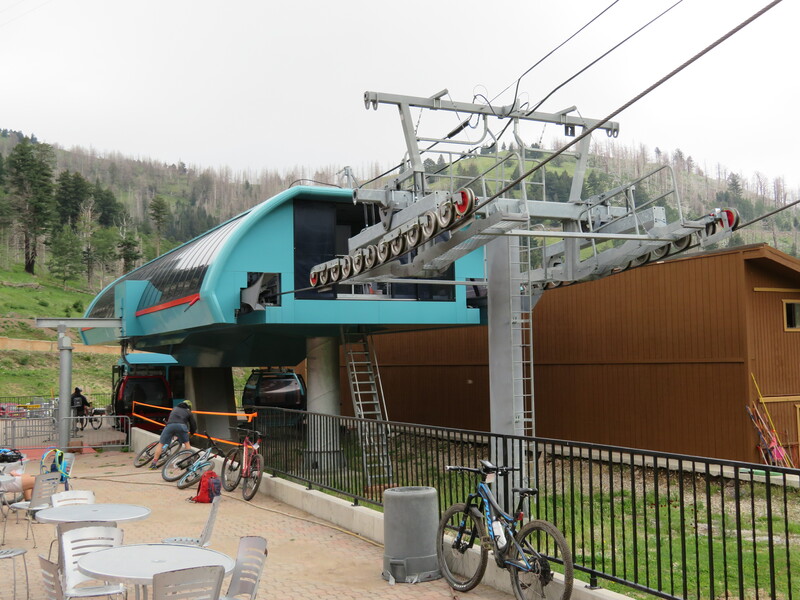 The bottom station has a small maintenance rail. 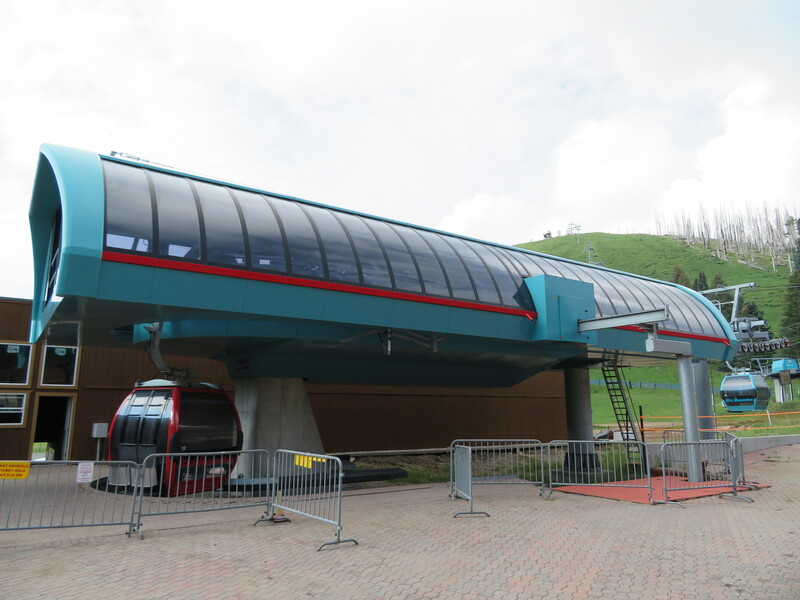 Guideage at the bottom terminal. 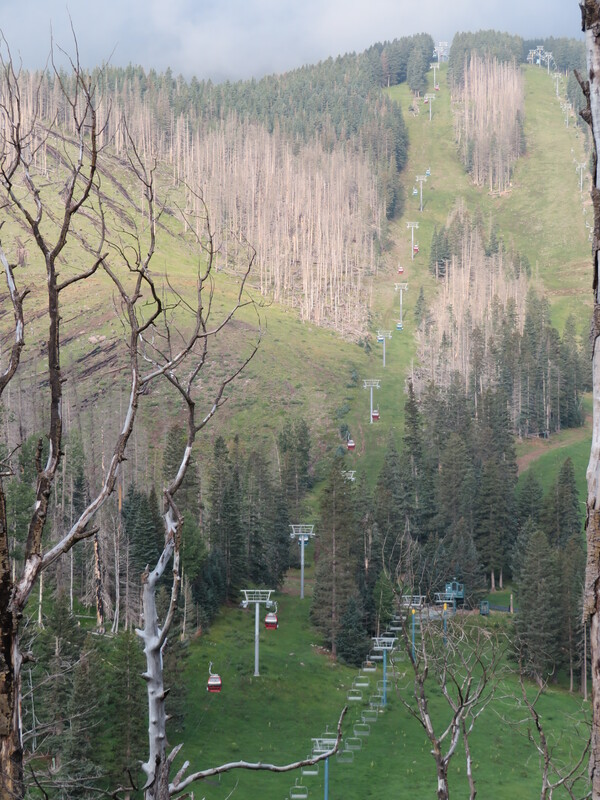 Mellow upper section of the lift line. 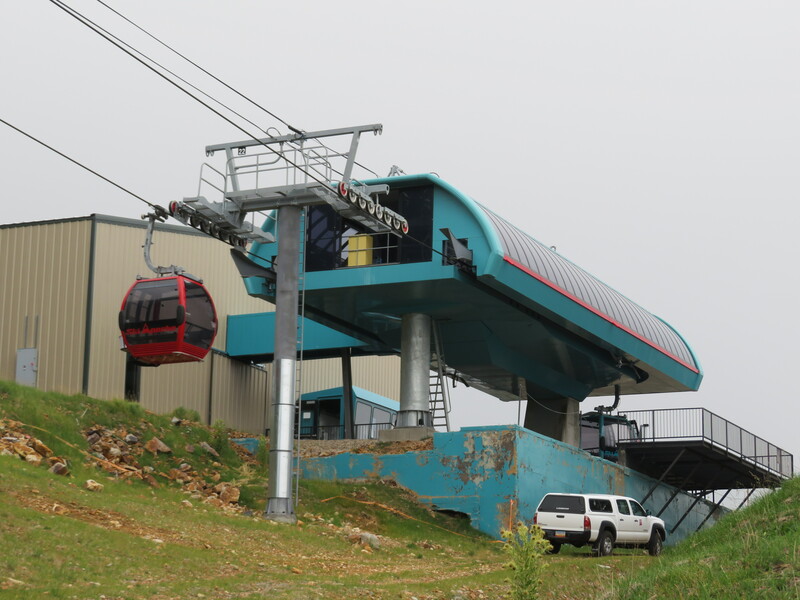 Arriving at the drive station. 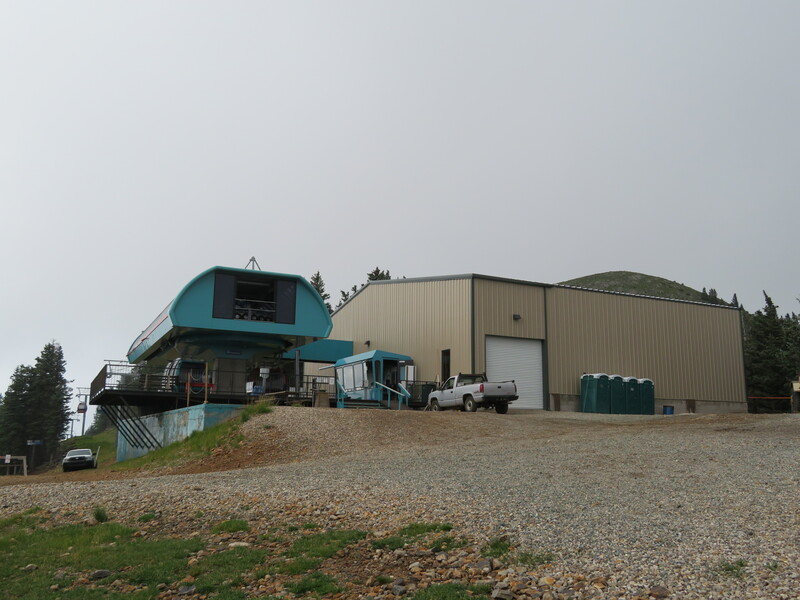 Carrier parking was added in 2017. 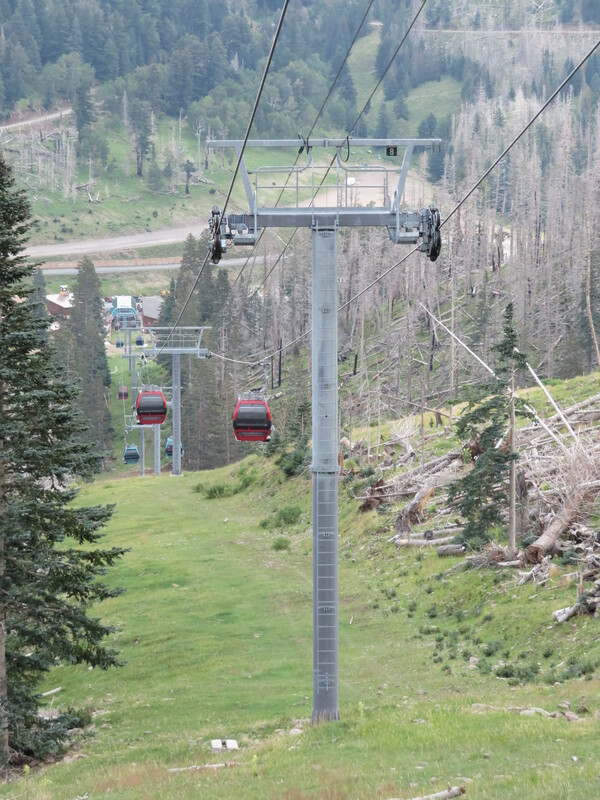 A section of towers near the summit. 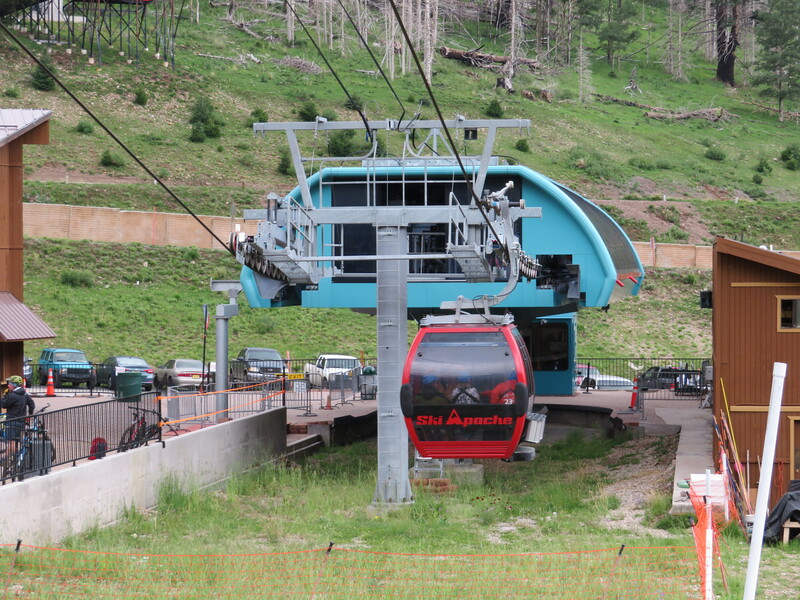 This lift replaced a PHB 4 passenger gondola in the same alignment. 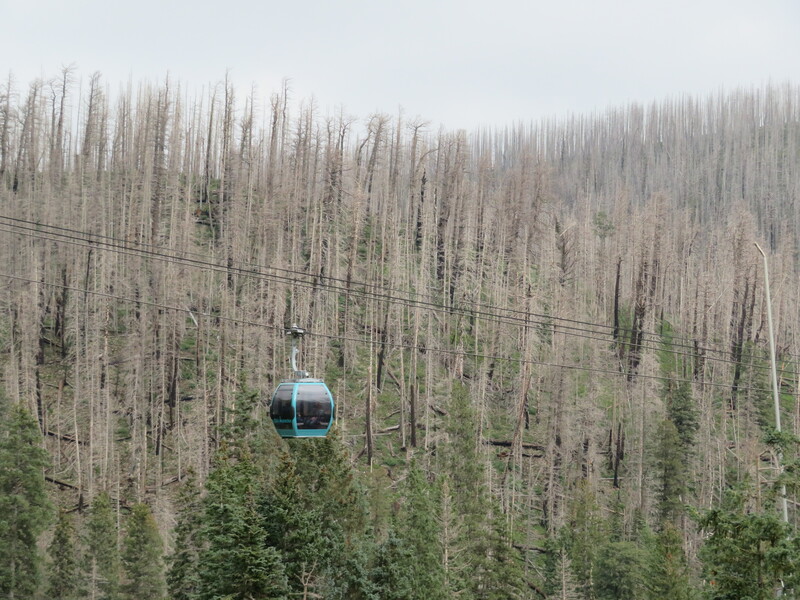 The aftermath of the Little Bear Fire – burned out forest and a new gondola. 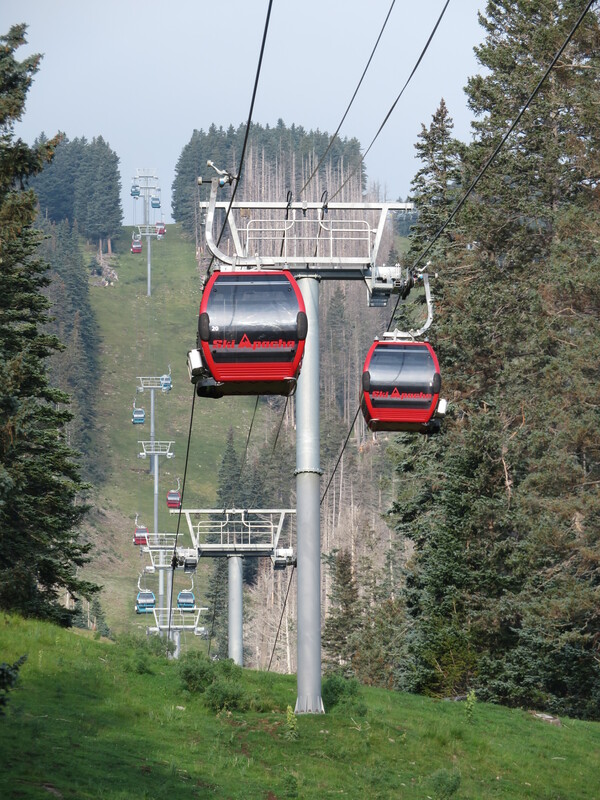 Two cabins above the base area. 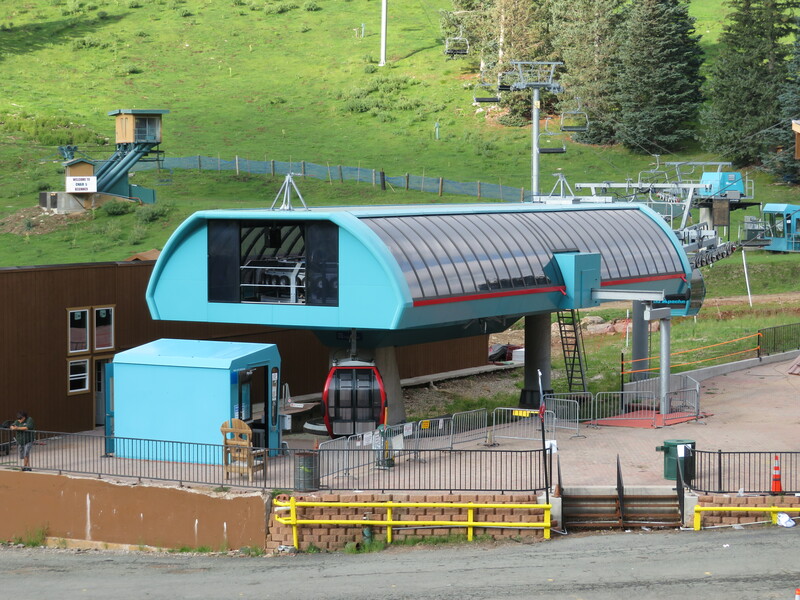 Another angle of the bottom terminal.